Bookends: Buried Appearances by D.E. Haggerty ~ Review! 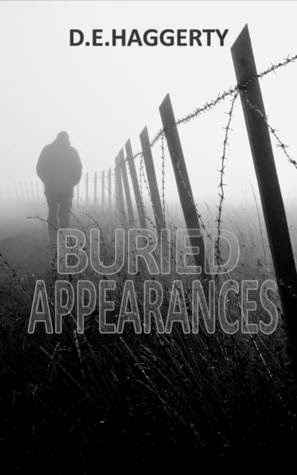 Buried Appearances by D.E. Haggerty ~ Review! My Review ~ 4 Stars! Buried Appearances is the story of Skylar Dewitt. A young woman all alone in the world with the exception of her best, and only, friend Andy. Skylar's grandmother, Oma, immigrated to the United States from the Netherlands when Skylar's father was very young. Oma's husband Joost was a suspected Nazi sympathizer and life in Holland was very difficult at that time for the family of Nazi sympathizers. Oma tried her best to start over fresh in America and put her family's past behind them and for a while her family did prosper. Oma made friends in her community. She raised her son in peace and he grew up and married and had a child of his own, Skylar. But when a picture of Joost in his Nazi uniform was published in the local paper, the whole town (with the exception of a scarce few) turned their back on the Dewitts. Skylar's mother couldn't take the ostracism so she packed up and left and Skylar's father turned to alcohol which eventually led to his suicide leaving Skylar to be raised by the only family she had left, Oma. Skylar's childhood was anything but easy with the constant bullying and adulthood wasn't much better, especially without Oma to turn to. When a letter comes in the mail from Holland raising new questions about Joost's disappearance and who he was loyal to, Skylar hops on a plane to uncover the truth and clear her family's name. I thought this book started off a little shaky with some unnecessary bad language and a whole lot of talk about coffee but soon enough the author hit a stride and had me hooked. I loved all of the history that the author managed to add to this book. Instead of taking away from the story like you might expect it would, it took it to a whole other level and made it that much better. The characters were well written and the storyline flowed nicely. I really loved Skylar's spirit and tenacity in this book, the relationships the author formed among the characters weren't overdone, and there was just the right amount of mystery and intrigue to keep you flipping pages until the very end. All in all, I really enjoyed this book and would recommend it to anyone who likes a good whodunit with a spunky/feisty heroine and a healthy dose of history. Very well done! I was born and raised in Wisconsin but think I’m a European (a cloggy to be exact). After spending my senior year of high school in Germany, I developed a bad case of wanderlust that is yet to be cured. After high school I returned to the U.S. to go to college ending up with a Bachelor’s degree in History at the tender age of 20 while still managing to spend time bouncing back and forth to Europe during my vacations (oh the benefits of a long-distance relationship). Unable to find a job after college and still suffering from wanderlust, I joined the U.S. Army as a Military Policewoman for 5 years (the Peace Corps was too much paperwork). While stationed in Heidelberg, Germany, I met my future husband, a flying Dutchman (literally). After being given my freedom from the Army, I went off to law school. 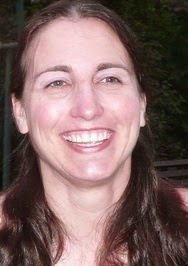 I finished law school and moved to the Netherlands with my husband and became a commercial lawyer for more than a decade. During a six month break from the lawyering world, I wrote Unforeseen Consequences. Although I finished the book, I went back to the law until I could no longer take it and upped stakes and moved to Germany to start a B&B. Three years after starting the B&B, I got the itch to try something else and decided to pull the manuscript for Unforeseen Consequences out of the attic and get it published as an e-book. Between tennis, running, traveling, singing off tune, reading, playing part-time lawyer and running the B&B, I’m working on my 3rd book. Thanks for hosting my blog tour today. I'm so glad you enjoyed the book!